Normally I love stupid people. But this time I am just annoyed. I know I shouldn't let it bug me, especially when it's a stranger who is being stupid. But it does. Just yesterday I read an article about a proposed tax on tanning services. For example, if you frequent a tanning salon, you'll be taxed extra. The monies generated from this tax will offset the costs of the healthcare reform. Fair enough, right? But what I love about reading the news online are the reader comments at the end. One woman posted "A tax on tanning? What's next? A tax on breathing?" Oh yes she did. She compared breathing to tanning. So, what she's saying is that we as a species cannot survive without lying inside of a machine that bakes our skin with concentrated ultraviolet light? It's like comparing apples to thumbtacks. Apples are good to eat. 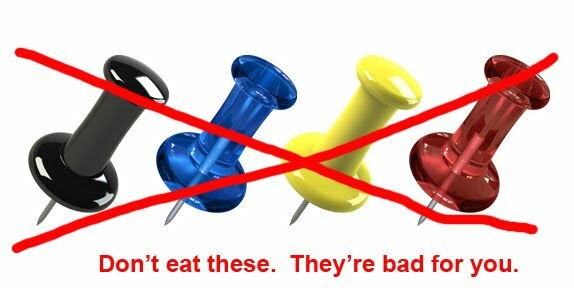 Thumbtacks are not. An apple a day, supposedly, keeps the doctor away. However a thumbtack a day will likely shred your intestines to ribbons. Is it too much to ask the people who destroy their skin in a tanning booth to offset the cost of their eventual melanoma?